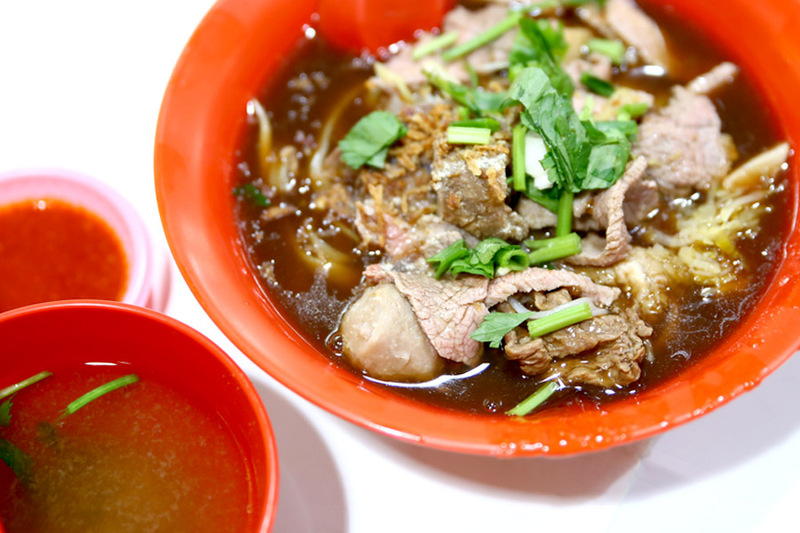 [Updated June 2017] Hong Kee Beef Noodle is listed in Singapore Michelin Bib Gourmand 2017 and 2016. 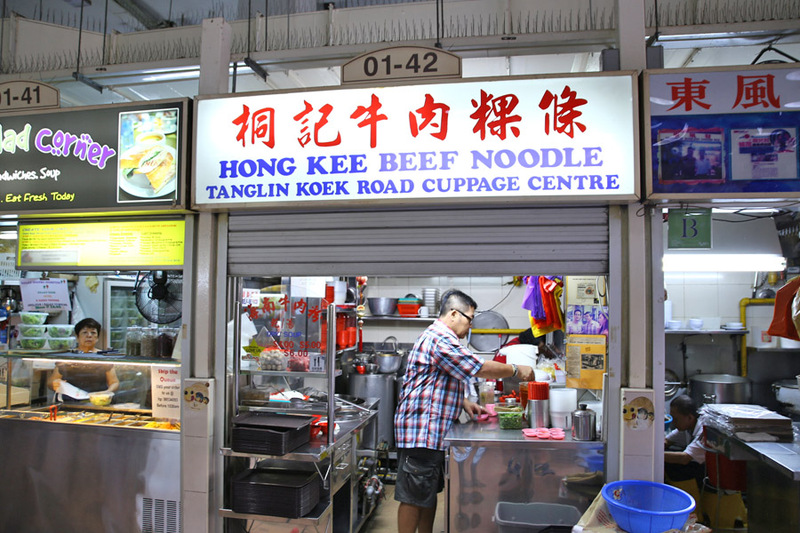 This stall was previously from Tanglin Koek Road, then moved to Cuppage Centre (I remember this – am I revealing my age?) 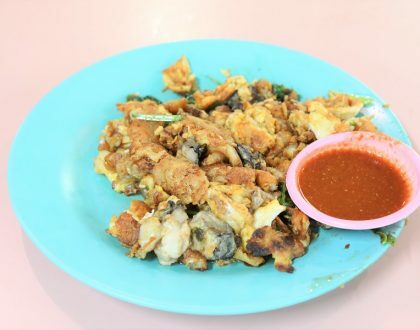 to its current location at Amoy Street Food Centre. There was a moderately long queue, about 5 people in line, when I visited during opening hours at 11am. 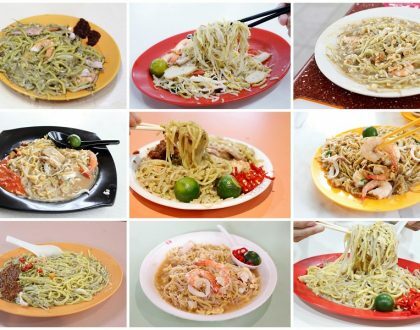 For this particular food centre, coming at peak hour lunch time could be ‘claustrophobic’ as many office workers around the CBD come here for cheap hawker food. Okay, too extreme a word, but you get my point. 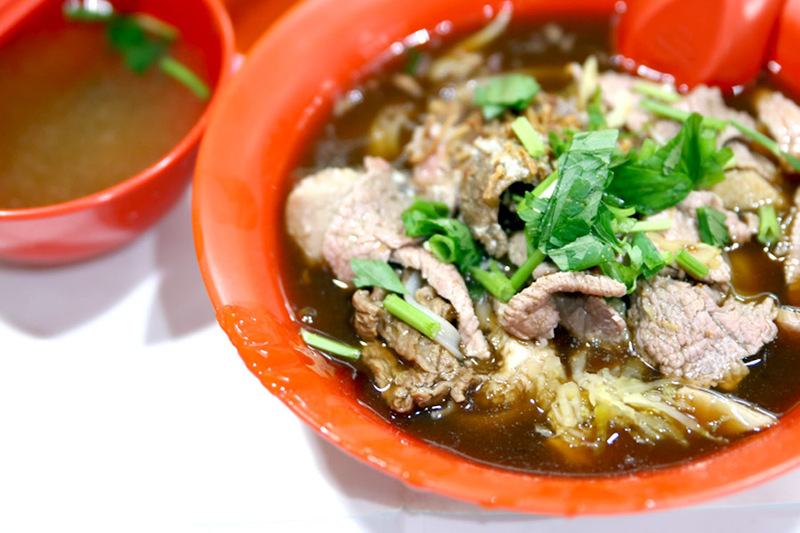 The Hainanese style Beef Noodles cooked by this ‘uncle-auntie’ couple were available in both dry and soup versions, priced at $4, $5, and $6. 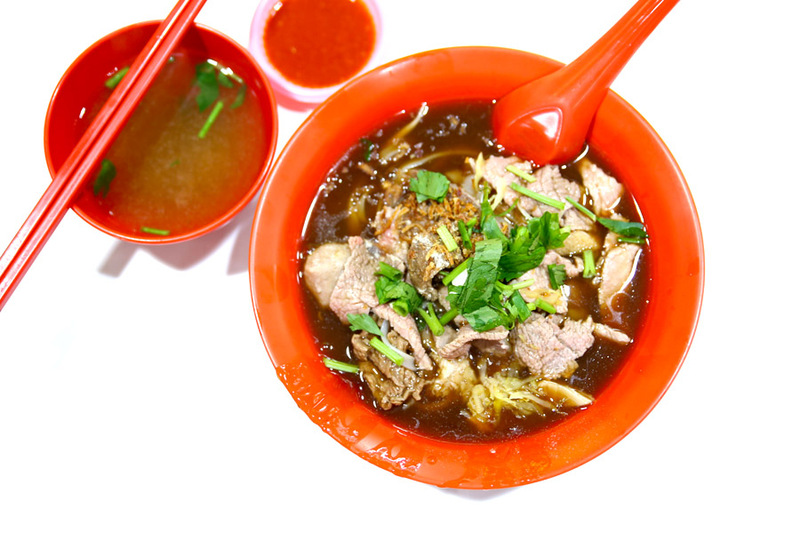 Gooey gravy, tender beef slices, slippery kway teow and a sprinkling of salted vegetables made a satisfying bowl. 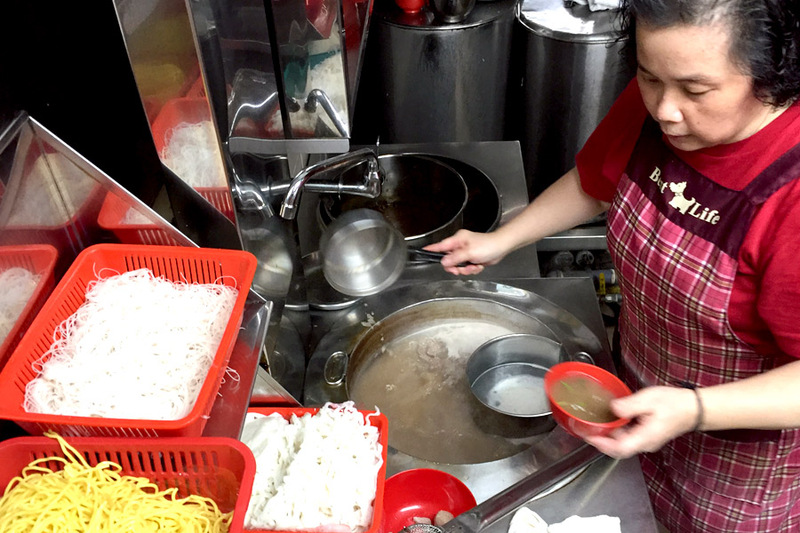 The winning part was the starch gravy that was appetising yet not overly salty, coating the smooth rice noodles which could just slip down your throat. 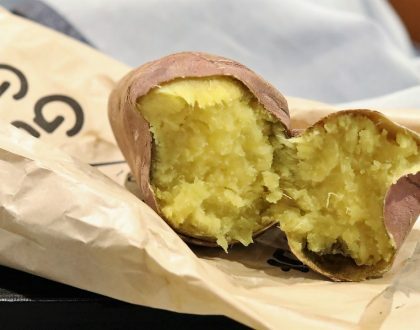 The overall combination was perhaps marred by the generic factory-made beef balls. I couldn’t ask for too much, could I?